помутнение хрусталиков (передняя или задняя субкапсулярная катаракта). Sodi A, Ioannidis AS, Mehta A, Davey C, Beck M, Pitz S. Ocular manifestations of Fabry’s disease: data from the Fabry Outcome Survey. 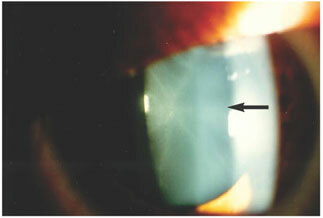 British Journal of Ophthalmology 2007; 91: 210-214. Brady RO, Schiffmann R. Clinical features of and recent advances in therapy for Fabry disease Journal of the American Medical Association 2000; 284: 2771-2775. 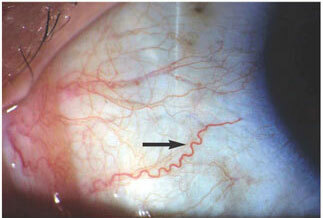 Sodi A, Ioannidis A, Pitz S. Ophthalmological manifestations of Fabry disease. В: Mehta A, et al (eds). Fabry disease: perspectives from five years of FOS, 2006; стр. 249-261.